If you have never experienced the Kentucky Bourbon Trail, start planning and be prepared to treat yourself. From Maker's Mark in Loretto, Woodford Reserve in Versailles, Buffalo Trace in Frankfort, to Four Roses in Lawrenceburg, it's a beautiful and historical trip that all whiskey fans should experience at least once. With a bit of luck, you may find a few limited, special, or gift shop only bourbons for the taking along the way. Today we are drinking one of those bourbons. Evan Williams is produced by Heaven Hill Distillery in Bardstown, KY. During my first trip to Heaven Hill, our tour guide had us spend about 35 minutes inside a rickhouse, sharing stories and soaking up all the 'angels share'- it was fantastic. 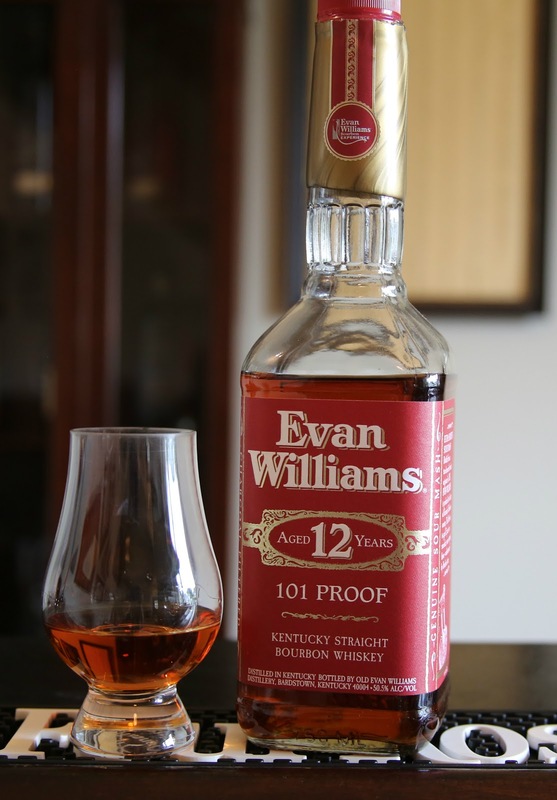 This particular bottle is only available at the Evan Williams Experience in Louisville (though it is also released abroad in Japan). Nose: Sweet corn with a predominately nutty bouquet. Peanut brittle, caramel, and chocolate, reminiscent of a 100 Grand candy bar. Slight spice notes and toasted oak shape a warm, rich aroma. Taste: Very chewy mouthfeel with a peanut brittle dominate profile. Caramel popcorn, fudge, and spice are present, however more subtle. There is slight spice and subtle oak. Finish: Medium in length with peanuts, spice, and toasted oak. Conclusion: It's safe to say this is the most flavorful favorite Evan Williams expression. The higher proof and additional age add to the overall complexity and flavor not found in Evan Williams single barrels. At $129 and limited availability, your paying for exclusivity- it is indubitably a souvenir bourbon. Full Proof is one of five, limited expressions distilled by the Barton 1792 Distillery. Aptly named, Full Proof boasts a rich, full flavored profile. In addition to being bottled at its original entry proof, it was produced using a distinct filtering process- the chill filtration was bypassed so the bourbon passed only through a plate and frame filter. The other limited expressions from Barton 1792 Distillery include: Sweet Wheat, Port Finish, High Rye, and Single Barrel- all unique in their own right. 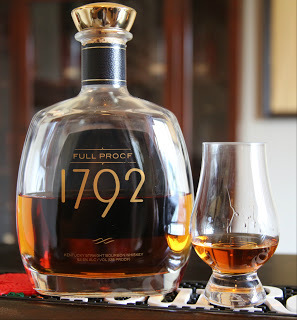 A few years ago, 1792 only produced small batch bourbon. It’s been a treat getting to taste these experimental, unique whiskeys, and I look forward to future expressions. Nose: Caramel and vanilla sweetness hide under a layer of alcohol. Dark roasted coffee, dill, rye spice, and smoke combine to revitalize a seemingly rich bouquet. Taste: Robust and hot. A sweet entry with sugar and chocolate candies weaken the sharpness of the initial heat. Coffee beans, rye spice, and a deep smoky flavor assist in the balance of the profile. Finish: Bold with a hot and warming rye spice. Conclusion: I love high proof bourbon, but Full Proof contains a powerful heat that leaves me feeling conquered. The flavors are bold, the profile is balanced, but its sharp instead of smooth. I never thought I’d say it, but I’m going to add a few drops of water going forward. It comes with a reasonable price tag, so I recommend you give it a try for yourself!